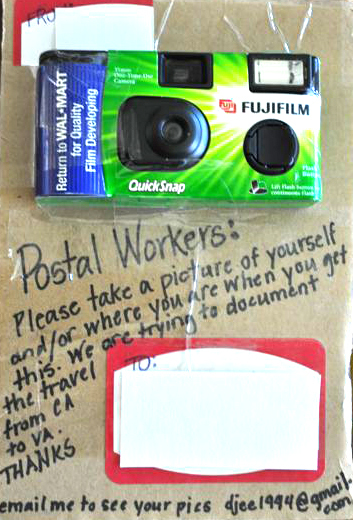 Document the voyage of postal mail! Over at Toad Haven, they sent out a package, "asking every postal worker who touched it to take a picture of the mail's journey across country." The package was sent from California to Virginia and back home again. This is a great activity for kids to learn about community helpers, as well as geography. Here is a tips page to help get you started!